Contrary to popular belief, it's not easy to take a comic book property and bring it to life. Sure, it may sound easy but when you get down to it they are making a movie that needs to be understood by your average Joe, not just the fanboys. For the most part studios have done a good job at this but it always has the fan inside me saying "I wish (fill in the blank) would have happened", well for the first time I don't have an I wish. There are only two other comic book movies that I feel are perfect representations of the source material and were tweaked enough to be understood by anyone; Captain America: The Winter Soldier and X-Men: Days of Future Past. 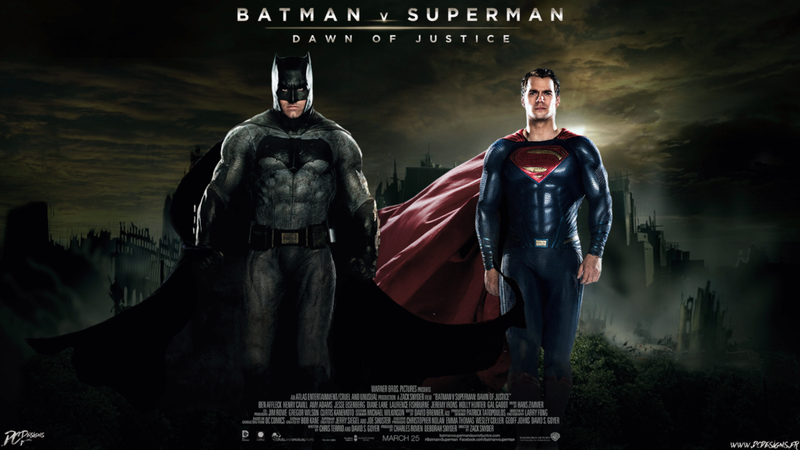 These two films encapsulate everything I could possibly want out of a comic turned movie, but Batman V Superman: Dawn of Justice is what I wanted, no, needed for a long time. I 'll get this out of the way right now. You ever watch one of the many DC animated movies or series and it was so good you thought "man, I'd love to see that as a live action movie. ", have you? Well, you probably did and I honestly believe David S. Goyer and Chris Terrio have too. These two men managed to cherry pick the best parts of The Dark Knight Returns, Death of Superman and sprinkle it with nods to every iteration of the characters across their many avenues that you will be hard pressed to find a second of the movie where the characters are not done justice. What really comes as a shock is that this entry leans heavily in favor of comic book fans and not Joe Blow movie goer. You are thrown into a world where Wonder Woman has lost faith in humanity, Batman doesn't see the good in the world and Superman isn't even sure his existence is a positive thing. There is no backstory to get you up to speed, if you followed these characters at all for the last half century, then you know what's what. Out of every comic book movie ever this one feels like it was truly made for the comic book fan. Batman V Superman is filled with outstanding performances from Affleck, Cavill, Eisenberg, Adams, Irons and Gadot. They fully embody the characteristics and mannerisms of the comic book characters that I have grown up loving. There is no moment when the movie felt too crowed and each character is given ample time to breathe. This is what many comic book movies shoot for but few fail to achieve. My only complaint is that I wish it was longer, but we are getting a 3hr DVD cut so problem solved.